Yesterday was budget day here in Old Blighty, with Alastair Darling's budget being yet another totally predictable disaster for the environment. Once again, it proves that he who worships at the altar of "economic growth" can never produce policies resembling any form of rational behaviour. So it was interesting to see the newspapers' commentaries on the greenness (or not) of this monument to politicians' follies. 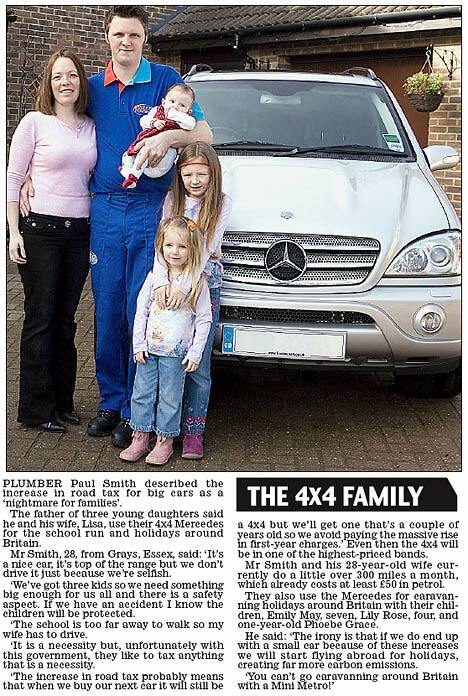 My eyes caught this feature in the Daily Mail, comparing 4x4 family with Prius family, which brought a chuckle to my lips. At around 4000 miles per annum, assuming the most greedy Merc petrol 4x4 (400g CO2 per km), they'll produce around 4000 * 1.6 * 400 = 2560kg CO2 per annum. At around 22000 miles per annum in a Prius (100g CO2 per km), they'll produce around 22000 * 1.6 * 100 = 3520kg CO2 per annum. 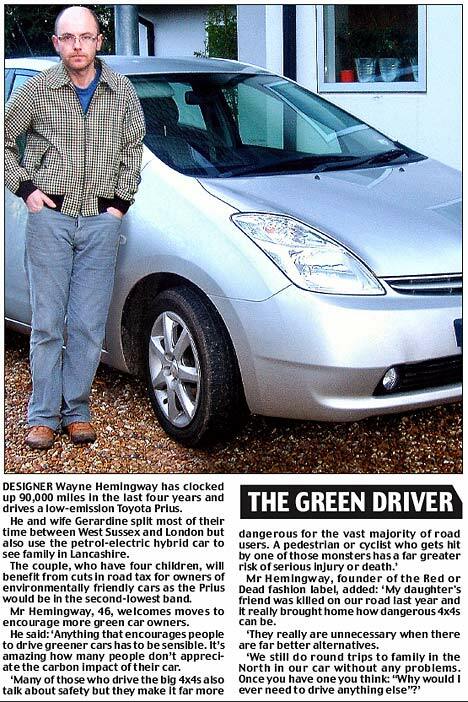 Their high mileage answers the question I asked in my Jevons' Prius post last year. That's 37.5% more CO2 than the 4x4 family. So, who are the green ones, then?